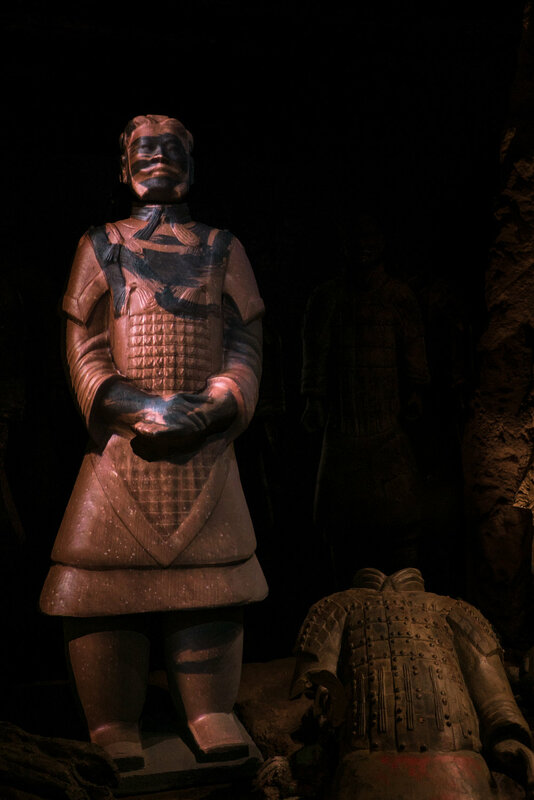 Following an incredibly successful exhibition at the Pacific Science Center in Seattle, WA, Klip’s projection mapping work for the Terracotta Warriors of the First Emperor exhibit has come home to Philly. The exhibit opens with Klip’s multi-screen, audio visual narrative of the excavation projected on two persimmon tree forms. This storytelling experience includes programmed automation of lighting and curtain controls designed and created by Klip technologists. Terracotta Warriors, which puts on display the fascinating collection of earthenware warrior statues from the time of China’s first emperor, is now open at The Franklin Institute. The exhibit includes unique displays that give a glimpse into the statues as they were. Don’t miss this opportunity to get a close-up look at these amazing pieces of history.